When a tornado watch or warning is issued for campus, the North Campus Storm Shelter, East Campus Storm Shelter, and the Magnolia Parking Deck Best Available Refuge Area (BARA) will be opened and remain open until the cancellation of the tornado watch or warning. The North Campus and East Campus Storm Shelters were built to FEMA 361 standards and can withstand 250 MPH wind speeds. The Magnolia Parking Deck BARA can accept pets with their owners. View more information for sheltering with pets on campus. Each campus building has a BARA location. The location can be found on the building emergency plan posted near the entry/exit locations. A copy of the BARA locations can be found here: Best Available Refuge Areas. If you cannot locate a BARA location, the next preferred area generally is on the lowest floor of most buildings, away from windows and in the center of the building. View more information about sheltering in place. 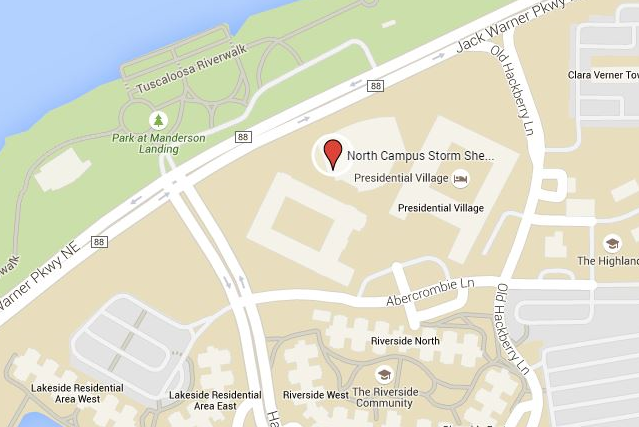 The North Campus Storm Shelter is located on the lowest level of the Student Activity Center at Presidential Village. 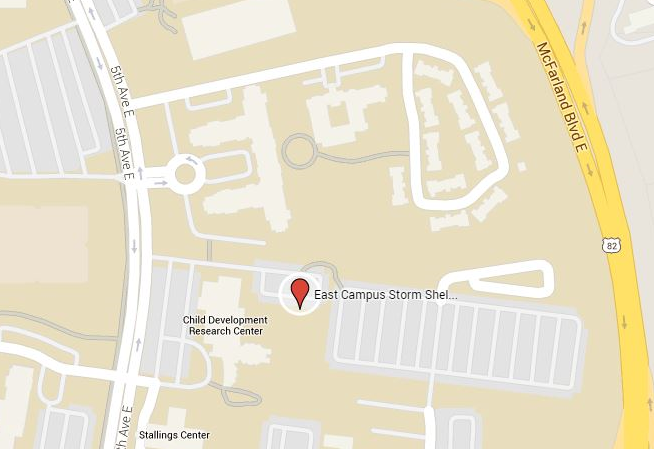 The East Campus Storm Shelter is located behind the Child Development Research Center. 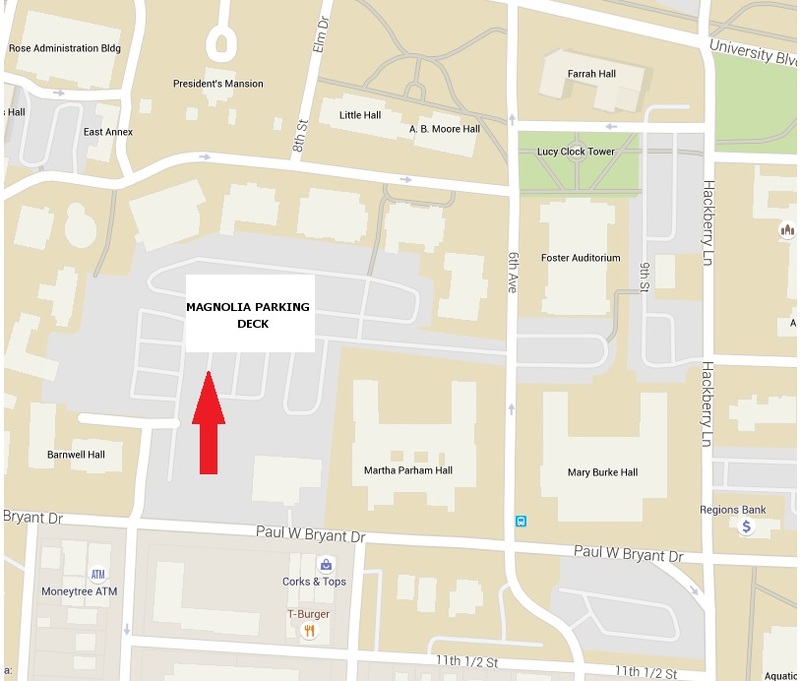 The Magnolia Parking Deck BARA is located on the west side of the lowest level of the parking deck. When a shelter is opened for a tornado watch or warning, University officials operate and staff the shelter. For your safety and the safety of others, please follow the guidance of these officials while you are in the shelter.